The period romance Chua Fah Din Salai (Eternity) is the leading nominee for the 20th Subhannahongsa Awards, with 14 nods in the 16 categories. Other leading nominees in the National Federation of Film Associations of Thailand's kudosfest are the crime thriller Nak Prok (Shadow of the Naga) with 12 nods, the road-trip romance Rao Song Sam Khon (That Sounds Good) with nine nominations, the travel romance Guan Muen Ho (Hello Stranger) with eight and the superhero action drama Insee Dang (The Red Eagle) with six. Chua Fah Din Salai, directed by ML Bhandevanop Devakul and produced by Sahamongkol Film International, is up for Best Picture as well as honors for director and screenplay and actor and actress for stars Ananda Everingham and "Ploy" Chermarn Boonyasak. Other best-picture nominees are M-Thirtynine's That Sounds Good, GTH's Guan Muen Ho , Sahamongkol's Shadow of the Naga and Extra Virgin's indie documentary Sawan Baan Na (Agrarian Utopia). Notably omitted from the top categories is Apichatpong Weerasethakul's Uncle Boonmee Who Can Recall His Past Lives, which won the Palme d'Or at the Cannes Film Festival last year and was the Film Federation's official selection to the Academy Awards for Best Foreign Language Film. It's been winning prizes at other film awards in Thailand this year, but for the Subhannahongsa Awards it's nominated for three awards: Recording and Sound Mixing, Cinematography and Supporting Actress for Jenjira Pongpas. But while Boonmee is strangely snubbed, the indie documentary Agrarian Utopia is up for four awards. Besides best picture, Uruphong Raksasad's film is nominated for Best Director, cinematography and editing. The nominations were announced on Thursday, February 24, in a press conference at Central Festival Pattaya Beach. The awards ceremony, popularly regarded to as the "Thai Oscars", will be held on March 6 at the beach-resort shopping mall's SFX Cinema. The event starts at 4pm and will be broadcast on Royal Thai Army television Channel 7. 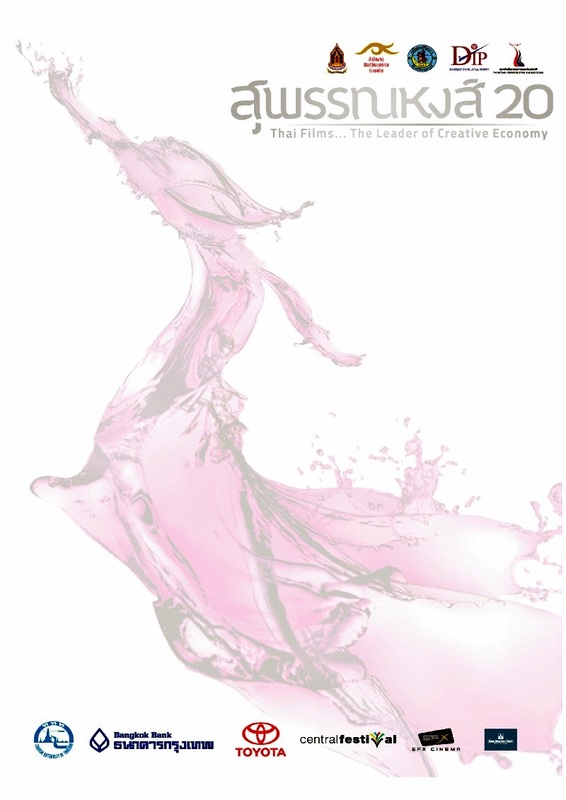 FNFAT president Jareuk Kaljareuk is quoted in a press release as saying the theme of the ceremony is "Thai Films ... The Leader of Creative Economy." "Film business is considered as creative economy. Our concept is to focus on skills, and special skills of people merge with culture, economics and technology as creative industry. It's the reason we select Pattaya city to be the location of this great event. Pattaya is one of the most important cities in term of business, and also one of the most favorite cities for foreigners who come to Thailand. This would be a great opportunity to present the potential of Thai movies to international community." In addition, Subhannahongsa Honour Awards will be given to producer Charoen Iamphungporn of Five Star Production and producer Somsak Techaratanaprasert of Sahamongkol Film International. "They both have dedicated themselves to Thai film industry always. All people in Thai film business respect their masterpiece of works," the press release continues. Sorajak Kasemsuvan, Secretary-General of The National Federation of Thai Film Associations said: "We all will have a great pride of our Subhannahongsa awards ceremony this year which we'll do our best to make this event great and successful as international level." "As we are a landlord, we're glad and honored to welcome the National Federation of Film Associations of Thailand, and we're delighted to be a part of the 20th Subhannahongsa Awards ceremony. This is also a great opportunity to present Pattaya City along with such great event to Thai people, foreigners and to the world that Pattaya City is capable as more than a tourist spot. We'd like to say thanks to the National Federation of Film Associations of Thailand for this great opportunity. And, we'll welcome and support you all along the 20th Subhannahongsa awards ceremony."